The Financial Services Authority (FSA) has chosen Capgemini for application development and maintenance for the next four years. The service provider will create and support software for the Financial Services Authority (FSA). Capgemini has worked with the FSA since 2006 and the agreement will support the FSA as it embarks on a large number of projects to support new regulations and restructure its own organisation. The FSA recently signed a framework agreement with Steria. At the time Gareth Lewis, chief information officer at FSA, said: "The rationale behind the new supplier framework is to provide increased competition among our supplier base, given the enormous volume of work we anticipate in the next four years." 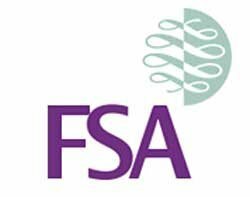 A spokesperson at the FSA said there will be a lot of IT work related to the FSA's plans to split into several organisations. The FSA has been one organisation for many years so there will be IT work to split the organisation and integrate the new ones.